What I think makes this area best is the quality of life. 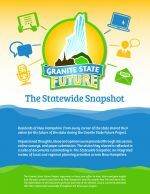 The combined work of A Granite State Future will help communities integrate planning across sectors and identify, share, and replicate successful projects. Together, this collaboration will make it possible for large communities and small villages throughout the state to achieve economic vitality, and protect the natural resources, character and rural landscapes that are so important to New Hampshire. 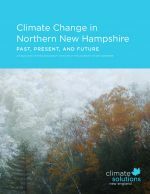 The Statewide Snapshot presents the compilation the nine regional plans, numerous statewide technical studies, and the robust outreach efforts conducted at the state and regional level to presents the citizens of New Hampshire with the relative priorities of different subjects across the state. Through Granite State Future, the regional planning commissions were presented with the opportunity to utilize a collaborative approach to regional planning, share resources, and prepare and update regional plans as required by NH RSA 36:45. Each region has over the course of the last three years developed its own independent regional plan that addresses local needs for housing, economic development, transportation, and the environment. The nine regions and their many partners teamed up to collaboratively develop statewide research that was common to all regions and provided essential background information. Products included an Existing Conditions and Trends Assessment, Regional Plan Framework, common planning metrics, climate change studies, a large scale survey, equity and engagement checklist for planners and results of statewide public engagement efforts. The Common Metrics Methodologies document lists and details the data computation methodologies for various metrics of common benefit to local, regional and state master plans based upon the initial research of the TASCs. Excel based data is available to download for all metrics. GIS data has been integrated into an online viewer hosted by GRANIT.